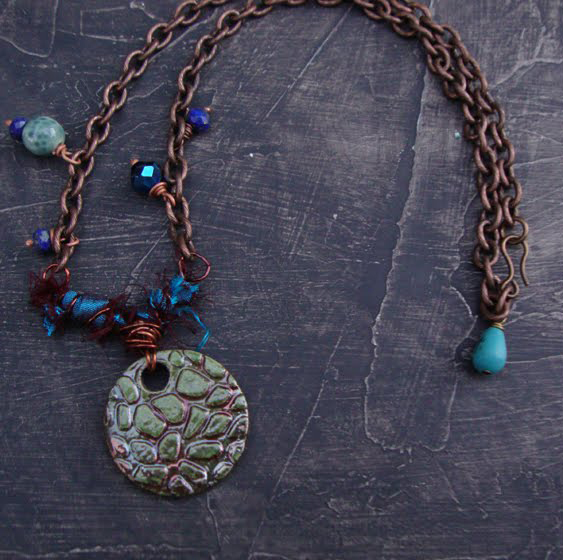 Right after the weekend servings of Bead Soup, I was contacted by Pat Elliott, alerting me that Barbara of Second Surf was auctioning her Bead Soup necklace to support Beads of Courage -- you can check that out by clicking here. 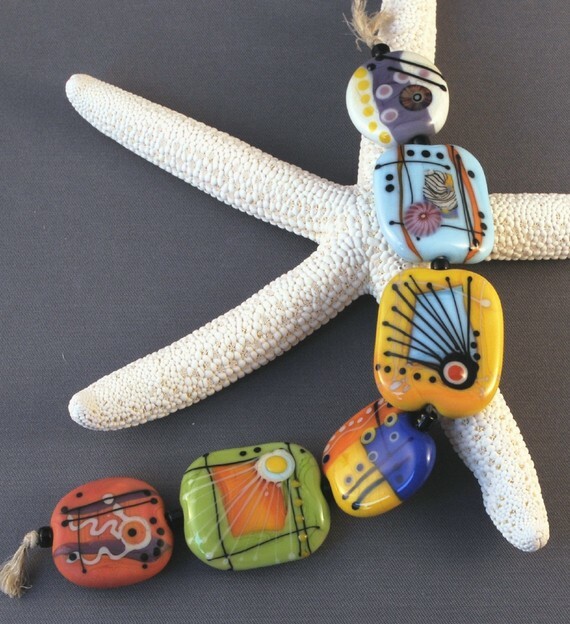 If you aren't familiar with Beads of Courage, this article by Pat Elliott will tell you a bit more about how bead artists are helping put a smile on pediatric cancer patients faces with the gift of handmade beads. You can also visit the official Beads of Courage web site and learn how you can contribute your beads to the cause. It's amazing what a bead can do. And a little more soup -- some of our partiers got hit with a nasty virus and are just now posting their awesome creations, so as I get notified, I'll post their link. Here's one for you now, the lovely and talented Flora -- click here to see what she made! Our lampworking group here on Vancouver Island (Island Fireflies) has been trying to find a Canadian chapter for Beads of Courage, but so far haven't had any success. Hopefully one will be set up some day soon. In the meantime, I think we will be sending our beads to the US - I'm sure we have lots of beads that we could send. It is a great cause. Off to learn more about this. I have many beads I could share. Thanks! Hi Lori, how wonderful of Barb to auction her beautiful creation to help put a smile on the face of these brave children. The Brisbane Beadmakers (Queensland, Australia) are getting together this weekend for a Beads of Courage flame off. Really looking forward to connecting with the others this weekend ♥ and making lot'o'beads. just thought I would let you know that my finished pieces are in the first blog I posted on Sat. The link I added in the new post since I could not get it the first time around. Have not had many hits- guess there are lots to look at. I love making beads for BOC! Thank you for the shout out Lori. Beads of Courage is an incredible organization and it was a privilege to write about their work. As an adult with leukemia I have many challenges, but many resources as well. Children with leukemia and other cancers need all the support they can get, and Beads of Courage is a wonderful way to help them in a supportive and empowering way. I hope your blog readers will find a way to get involved with them - They help children and families get through very difficult times. Bead donations are welcome, and just one of many ways to help.